Nowadays, finding information on the Internet is easy, but it is more difficult to verify its reliability, especially if you are not an expert in a given subject. It is also difficult to find information that is not biased, as it may be with travel agencies or local destination organizations which tend to describe the climate of a given location as mild and pleasant even when it is not. There are also some websites which provide correct information, but in a complicated language, or using words and concepts which are too specialized. Other websites simply gather information from other websites, without being able to assess their reliability, or merely provide raw data without adding explanations. Here, on the contrary, you can find an analysis of the climates of the different world countries, carried out from a single, consistent point of view. The advice on the best period in which to visit a particular country is based on weather statistics, including the mean values and, where available, the records of a given city or area. With "best period" we mean the period when the weather conditions are generally better in that place or in that country as compared with other times of the year (and not to other locations: the worst time of year for a location X might be better than the best time for a location Y). Generally we consider as ideal a temperature of around 22/24 degrees Celsius (72/75 degrees Fahrenheit) to visit cities and make excursions, and around 27/28 °C (81/82 °F) for beach life. Of course we have also considered the risk of rain (and intense phenomena such as thunderstorms, hail, tornadoes, hurricanes, etc. ), the amount of sunshine and the sea temperature. For these reasons, the best time may seem sometimes a bit too short in climates that all in all are good, but we tried to minimize any possible risk. Nobody, however, forbids you to visit a given country at other times of the year, nor to seek the "thrill" that extreme weather conditions can give to some. It should also be noted that usually the best times correspond to high season and therefore involve higher prices. As for the sea temperature, we consider it high enough for swimming when it is equal to or higher than 23 °C (73 °F), but it is clearly a rough indication, since there are several parameters to be taken in consideration (in the first place, personal preferences and sensitivity to cold, but also the duration of the bath, the activity that takes place in water, etc.). 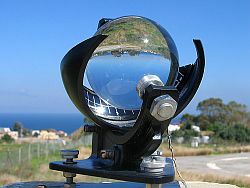 The measurement of the sunshine hours per day can vary slightly, mainly depending on the sensitivity of the instruments (called sunshine recorders), which can detect or not the presence of the sun when it is low on the horizon or veiled by the haze, generally however the difference is no more than an hour a day. For this reason, unfortunately it is not always possible to compare the data of two different locations, if not with a certain approximation. The most modern instruments are able to detect the presence of the sun in a standardized manner, but it will take years before you can have homogeneous data from all over the world. However, to evaluate the probability that in a given location and in a given month the sun shines, we must also consider the length of the days, which varies according to latitude and season. In general, the most significant measure of the rain days is that of the number of days with rainfall above 1 millimetre (which equals one liter of water per square meter) or 0.04 inches; if the precipitation has fallen in the form of snow, it is first necessary to melt it and then to measure the quantity fallen in the rain gauge, as if it were rain. 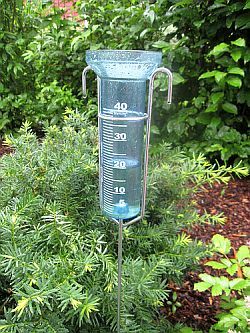 Unfortunately, it is not always possible to have this data: sometimes the only data available are those regarding the days when more than 0.2 mm (0.008 in) of rain have fallen. We have almost always tried to show the data of the first type, but this has not always been possible. The only cases in which we consider it useful to define 0.2 mm as the threshold for a rain day, are climates in which there is often a light drizzle (for example in Lima or the Galápagos in winter) or a light snow (for example in cold countries in winter), which may last for hours. Tropical rains typically occur in the form of downpour or thunderstorm, often in the afternoon and evening (but in coastal towns they may occur even at night or in the morning). Sometimes they can be intense and concentrated in a few hours, and can cause flooding, but usually they do not disturb much a holiday, because they are soon followed by the return of the sunshine. However, it is advisable to avoid the rainy season, when the risk of intense phenomena is greater, especially if you plan to make excursions in mountains, natural parks etc. Typically the tropical rains are more intense in mountainous areas or at the foot of the mountains, near oceans and forests which can provide moisture, so generally the small and flat islands are less rainy than the big and mountainous ones. Even in desert or semi-desert areas, occasionally some downpours may occur: during periods when there is any chance of this happening, it's better not to linger inside dry river beds (wadis), which could suddenly fill up with water. Monsoon rains occur in certain tropical or sub-tropical areas, as part of an atmospheric circulation at a continental level; they mainly affect the continents and the nearby areas, and have a high impact on the lives of local people, and of course can affect travelers. Typically during the monsoon season the sky can remain cloudy for days, and there can be long-lasting rains. Generally, the most affected areas are coasts and mountain slopes exposed to the prevailing winds. Tropical cyclones (which can be called cyclones, hurricanes, typhoons depending on area) are one of the most serious threats to travelers and residents in the areas in which they can occur. 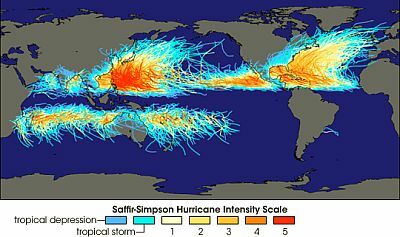 Cyclones develop in tropical seas, only when the sea surface temperature is very high, and the trajectories they follow depend on the winds that prevail at high altitude. Once a cyclone is formed, it is possible to predict its path, at least for the next few hours. A country may be more or less exposed to this type of phenomena. Although it is relatively rare for a tropical cyclone to hit a given location, when it happens it can cause heavy damage, and in any case it can ruin a vacation, if only for the cancellation of the flight. For this reason we have never recommended the periods in which a given country may be affected by these phenomena. Typically, cyclones occur in the warmest and rainiest time of the year, and therefore not in the best time, although it's not always the case. To check the risk of cyclones we have analyzed the trajectories followed in the past; however, we cannot be sure that in the future a cyclone can not follow an abnormal trajectory or occur in times of the year different than usual. According to the World Meteorological Organization (WMO), the reference period for the climate statistics is the 30-year period 1981/2010, and this is especially true for the temperature, which has increased over the decades (and this has happened more in the cold areas than in the Tropics), and therefore has made old data obsolete. Unfortunately, we have not always been able to find updated data: sometimes we had to refer to the period 1971/2000, or worse, to the period 1961/90. However, when we have more recent data, we replace the old ones. We decided not to use the Köppen climate classification, because it is based on vegetation, which is certainly a good indicator to know the climate of a given city or region, but of course the needs of plant species and farmers do not coincide with those of tourists, so we used a classification of our creation. The weather can not be predicted more than a week in advance, but in the days immediately prior to departure it may be helpful to check the weather forecast for the place you plan to visit, especially in the case of a last minute trip, which allows you to book the trip after checking the forecast itself. WARNING: the site climatestotravel.com makes no warranty on accuracy, completeness and usefulness of the information contained therein, and can not be held legally responsible for any loss, damage or injury which may arise directly or indirectly, from the use of the information contained therein. Pegasusweb Mirko Cecchini, Via Venezia 15, 43122 Parma - Italy. Companies Register of Parma 02757670340.